Fall is here and that means pumpkin patches are popping up everywhere, including Miami! 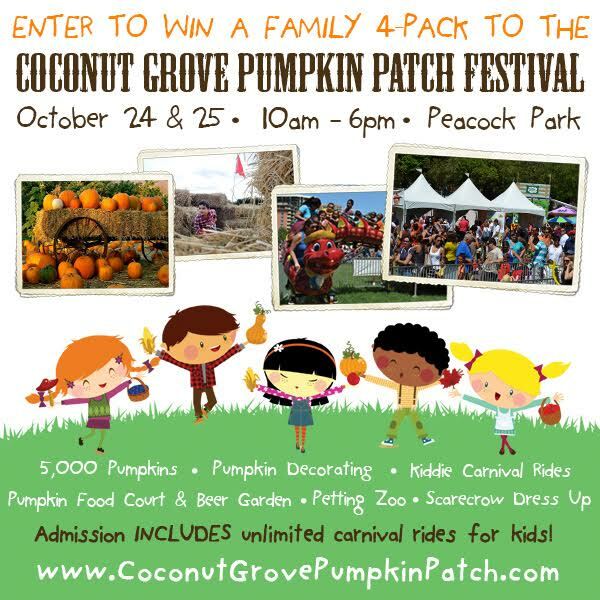 I am super excited that our favorite, the Coconut Grove Pumpkin Patch, will be back in Miami on October 24 and 25, 2015! We go to this pumpkin patch every year and I would love for you to go too! Enter below for your chance to win a Family WonderFALL package of 4 tickets!